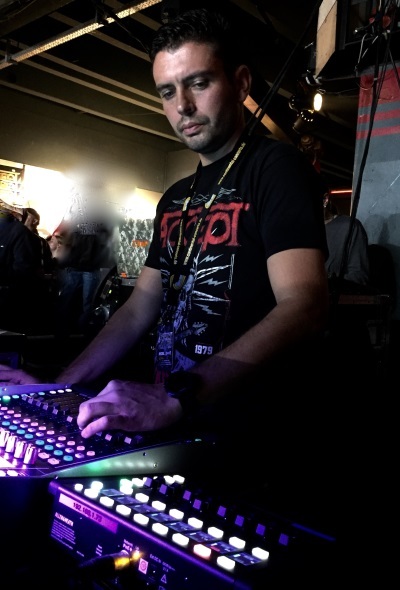 German heavy metal band deploys dLive C1500 surface, CDM32 MixRack, DX168 expanders and ME-1 personal mixers for current worldwide ‘Rise of Chaos’ tour. Accept performs on the worldwide ‘Rise of Chaos’ tour. 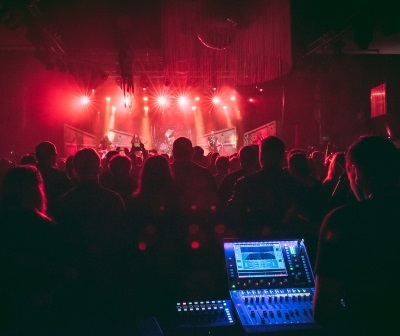 German heavy metal band Accept is utilizing an Allen & Heath dLive system for front of house and monitor duties on their current worldwide ‘Rise of Chaos’ tour. 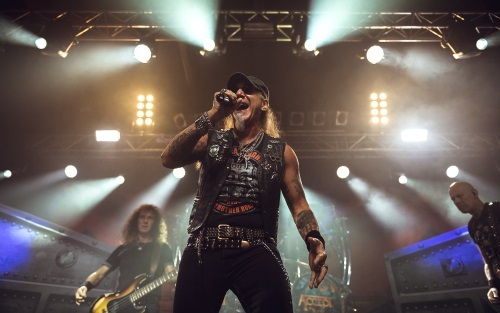 Founded in 1968, Accept are among the pioneers of the German heavy metal scene and landed their first major international success in the early 80’s. After a 10-year hiatus, they reformed in 2009 with a new lead singer and since then have achieved multiple Top 10 chart entries and regularly perform across Europe and America. For the current tour the band decided to use an Allen & Heath dLive system for the first time. “As we mostly travel by plane to all our international shows, the complete monitor and front of house set-up needs to be extremely compact and light,” Oliver Tschotow (the main sound engineer for the tour) explains. Tschotow’s full set-up includes a dLive C1500 surface with Waves card, a CDM32 MixRack fitted with both AES and MADI cards, two DX168 expanders, two IP8 remote controllers and a further two ME-1 personal mixers. Additionally, as there’s no separate monitor desk for this tour, IEM mixes are prepared through the C1500 surface and each musician has the ability to subtly change their individual monitor mixes on stage, using the dLive OneMix app. “We are also working on a project with Accept for next year called ‘Symphonic Terror’ – these shows will feature a symphony orchestra and we needed a system that can deliver a minimum of 24 faders, 120 channels and 50 buses, all in a compact format and with 96kHz signal processing, MADI and AES, virtual soundcheck and multitrack recording – again at 96kHz.